TAC Members and their guests are invited to attend our 3rd Annual Kentucky Derby Party Fundraiser on Saturday, May 4, 2019. Funds raised from this event will benefit the Eva Woodbridge Victor Scholarship fund. For $25 per person, you can enjoy Food & Hors d'oeuvres plus a variety of beverages. There will be a Best Hat & Best Derby Duds Contest, silent auction, and other fun games! Please RSVP by May 1st. If you have any questions, please contact TAC Member, Lisa L.
On March 23, 2019, Theatre Arts Club lost a dear friend & member, Camilla Duffy Kavanagh. Camilla, a long-standing member who joined TAC in 1955, will be remembered as a gracious and classy lady. She always had a smile and a kind word to say to everyone. Camilla you will be dearly missed. CONGRATULATIONS to the Director, Producer, Cast and Crew of the play, Grandmothers, Incorporated, written by Lillie Barnett Evans & Crystal V. Rhodes, for two outstanding performances. THANK YOU to everyone who attended AND to playwrights L.B Evans and C.V. Rhodes for coming to Saturday's performance. It was a pleasure to have you as our guests and to meet with our cast, crew, club members and patrons. We hope everyone enjoyed the show and look forward to seeing you at our next event! TAC MEMBERS WHO ENJOY READING and talking about books are welcome to join the Joie de Livres Book Club. Please see our schedule for future meeting dates and locations. 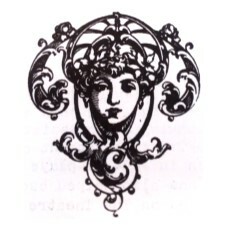 The Theatre Arts Club is a Michigan non-profit organization established in 1910 as an all women's theatre group. For the first 15 years, performances were given in any available locale. In 1925, Players built their beautiful Playhouse. The Playhouse has been our home ever since.